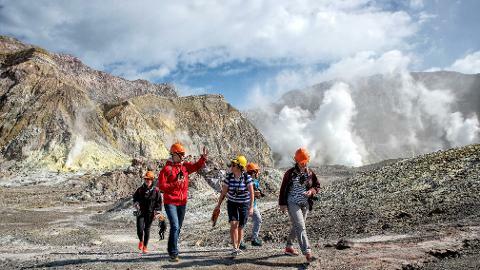 Begin your Whakaari/White Island adventure in Rotorua. Our transport partner will collect you from your Rotorua accommodation and bring you on the scenic journey across to New Zealand's east coast. The 80 minute drive will take you past a number of lakes, through remnants of NZ rainforest and past some of New Zealand's most productive agricultural land. 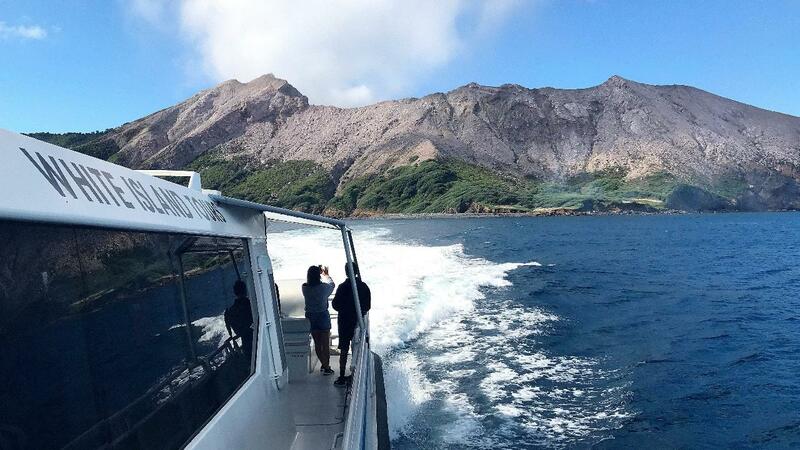 On arrival in Whakatāne you will join the White Island Tours ™ crew for a 5 to 6 hour adventure to explore New Zealand’s only active marine volcano – Whakaari/White Island. 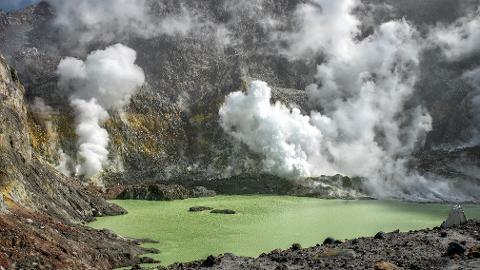 Sitting 49km off the coast of New Zealand’s North Island, this is one of the world’s most accessible live volcanoes. With the majority of the volcano sitting beneath the sea it means we are able to disembark directly into the crater complex – no mountain climbing required. 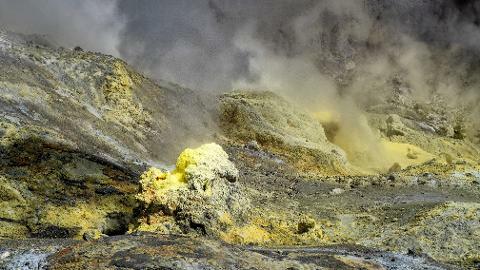 Being a live volcano there is little doubt that White Island is home to New Zealand’s most impressive geothermal activity. 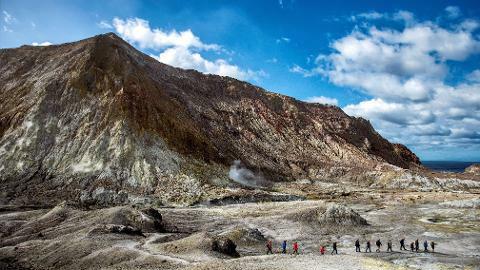 Visitors are able to get up close to roaring steam vents, bubbling pits of mud, hot volcanic streams and the amazing lake of steaming acid. The vivid hues of yellow and orange resulting from the abundant sulphur on the island make it a photographer’s dream. Experienced guides will lead you on a 1 - 1.5 hour exploration of the inner crater, providing a fascinating commentary on the geology of the island as well as stories of attempts to mine sulphur. Along with volcanic and geothermal features, you will see the remains of the sulphur factory which have survived multiple eruptions since being abandoned in the 1930s. Once back aboard there may be time for a swim from the boat before being served a light packed lunch. Our journey home often provides the opportunity to spend time viewing dolphins, whales and other marine life. We hold the necessary government permits to interact with these animals and it’s a great way to end an already amazing day.